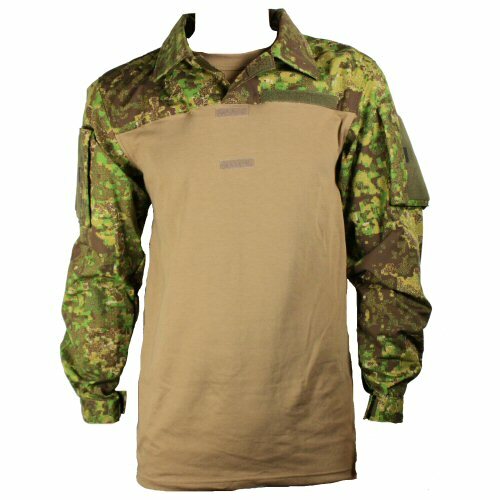 The under armour combat shirt in Hyde Definition original Pencott Greenzone utilises the proven German Army desert moisture wicking shirt body as the torso layer, with the Pencott Greenzone collar and sleeves over the top. 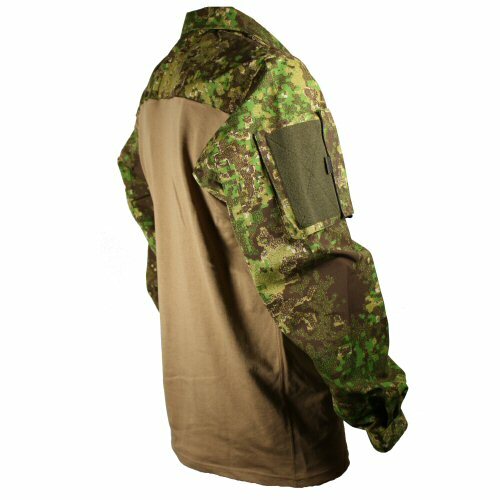 It is constructed from the top grades of material available in genuine Pencott Greenzone, such as vat dyed NYCO ripstop fabric, with reinforcements on the knees and seats in 1000D Cordura. 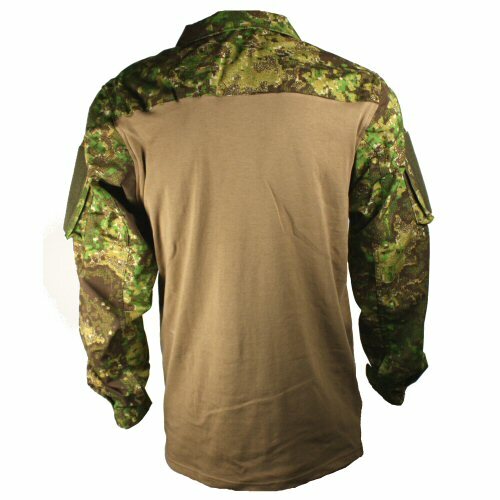 The UBACS shirt features a full collar that can be retained upright with hidden velcro loop, upper arm pockets faced with velcro and velcro cuffs. The pockets are made to the same design as the arm pockets on the German KSK shirt, and fold over to prevent loss of contents. Use of velcro to secure the collar together removes the pressure point created by a 1/4 length zipper. The brown undershirt collar is retained within the shirt for better durability by removing the possiblity of fraying at the seam between the NYCO material and the stretchable torso material. Blood patch velcro strips are located on the torso chest and an additional name tape strip is located on the left chest. 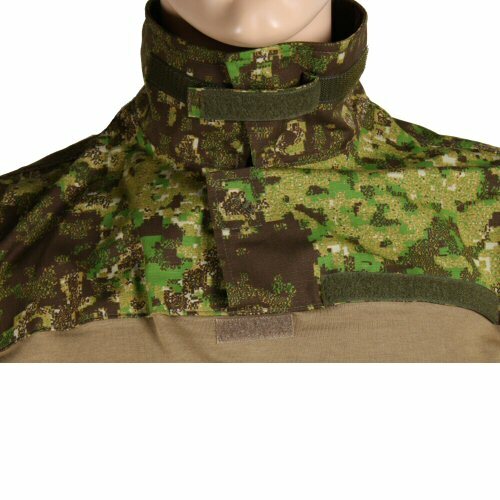 Pencott Greenzone is a highly effective camouflage in woodland and grass, combining digital pixellation with dynamically layered patterning. Sizes are M, L and XL.